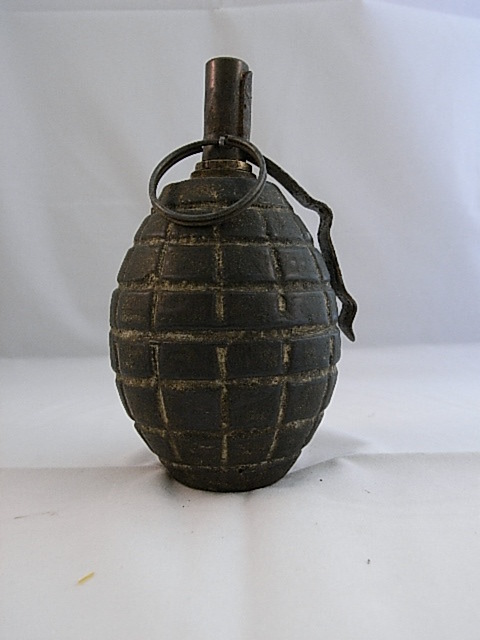 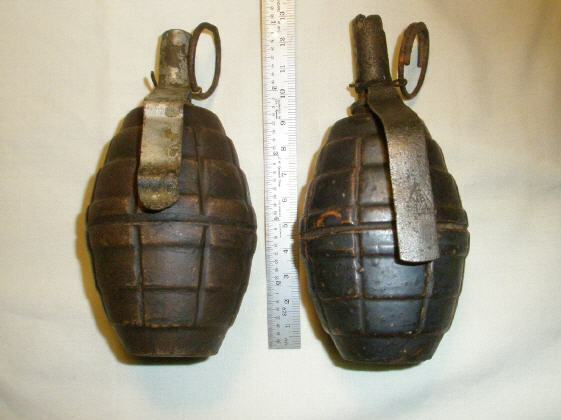 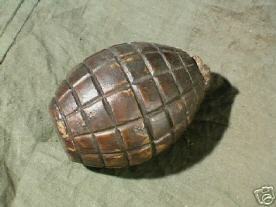 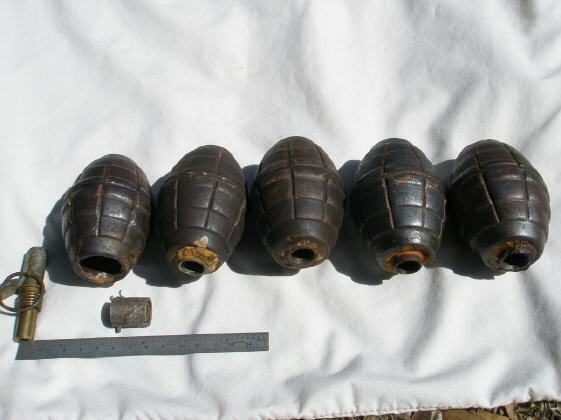 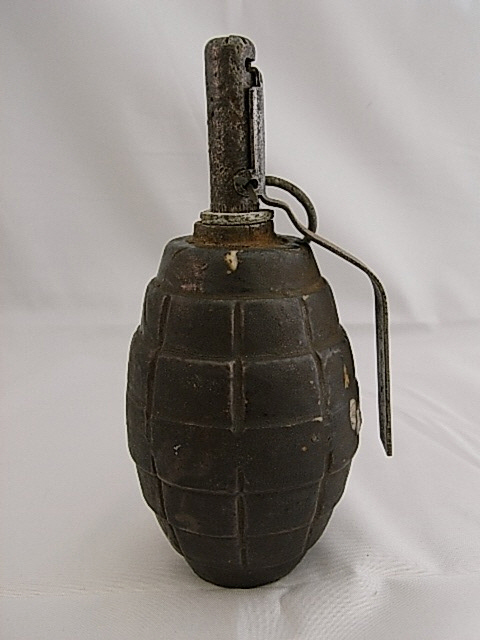 No written documentation is known about these ceramic grenades. There are at least two versions, both could be issued with either a Koveshnikov fuze or UZRG/UZRGM. 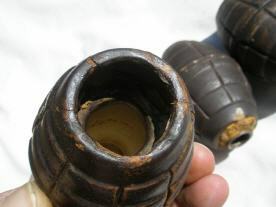 Both types have an unusual small cavity for the explosive charge. Photos below © Rob V.
Here is a nice photoshoot of Dr. Ruby. 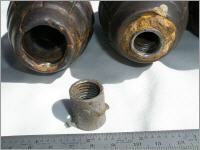 His photos show the details on how the threaded fuze-well was fixed to the body. The metal collar is smaller in diameter then the cavity in top of the body. 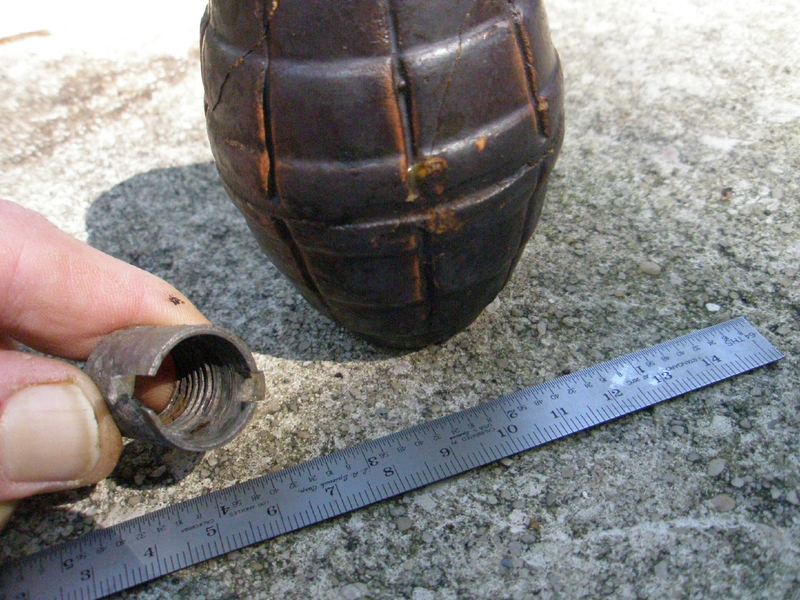 The space in between gets filled up with an unknown sealant. The small lips on the metal collar anchored the threaded well so it would not move. 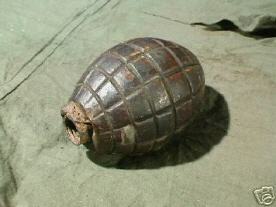 All this must have been done in a factory I think, just after the explosive charge was fitted.